﻿ Deportivo 0-3 Real Madrid. No contestation at the Riazor! 20.08.2017 » Deportivo 0-3 Real Madrid. No contestation at the Riazor! Real Madrid visited Deportivo this Sunday night for their opening fixture in La Liga this season and they didn't let their fans down. Without Cristiano Ronaldo, the Merengues walked off the pitch with a 3-0 win, thanks to goals from Gareth Bale, Casemiro and Toni Kroos. 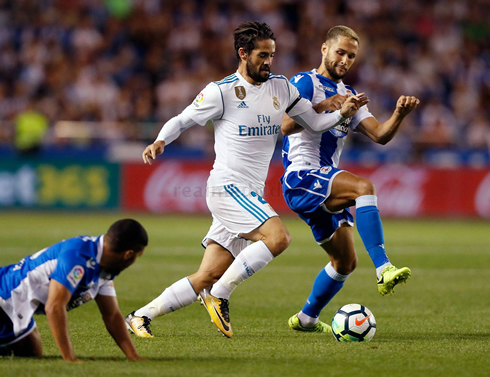 Real Madrid kicked off their La Liga title defense today at the Riazor, where they faced off against Deportivo La Coruna. 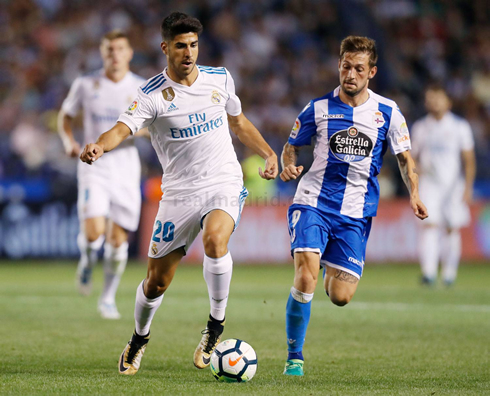 The Riazor, which was previously a dangerous place for Real Madrid to visit for years, has become a very comfortable place in recent years for Los Merengues and today was no different as they pulled off a 3-0 win. With Nacho in for Varane being the only change in Madrid, the Merengues looked to continue their fine form to start the league. However, Deportivo would not make it easy for the Whites, as their Romanian forward Florin Andone had two brilliant chances to give Deportivo the lead in the first 7 minutes. Both chances were saved brilliantly by Keylor Navas, as Madrid still looked to settle. And they would settle only a few minutes after through Gareth Bale's opening goal... 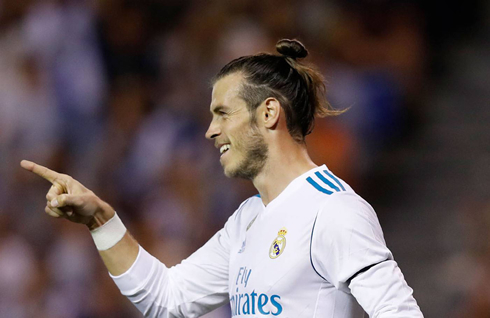 In fact, it's the third season in a row the Welshman has opened the league scoring for Madrid and this was likely the easiest one of them all. Deportivo goalkeeper Ruben Martinez found Luka Modric's shot too hot to handle and bundled the rebound right to Benzema. The Frenchman scuffed his shot (or played a brilliant pass, depending on your perception) into the path of Gareth Bale and the former Tottenham star had an easy tap in from inside the six-yard box making it 1-0 to Real Madrid after 20 minutes. The second half began with some more slick play for Madrid, but the third goal wouldn't come. Deportivo also made the game a bit more difficult with their scrappy play and Madrid had to adjust accordingly. Andone kept making himself a nuisance for the duration of the half and the Merengues certainly gave the Romanian a lot of attention at times. Eventually, Madrid would grab their third on the break, from the man that's usually known for setting up the goals. 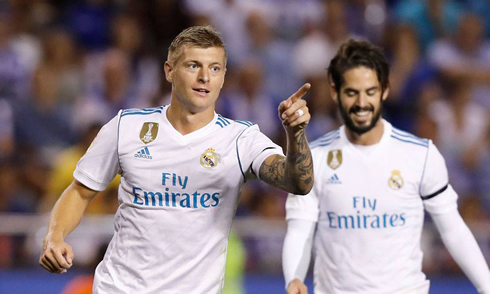 Toni Kroos put in his first of the season after some slick counter-attacking football from Benzema, Isco, and Bale. Trailing late into the box, Kroos was able to finish off Bale's perfectly weighted layoff for 3-0. The match, however, wouldn't be without controversy. Depor would get a penalty late, but Navas was able to do just enough to guide Andone's kick wide. It was clearly a frustrating night for the Romanian. And, unfortunately, in typical fashion, Sergio Ramos was sent off for a second yellow merely 20 minutes before the end of the game. It was a stupid foul to make with the game ending, so Madrid will be without their captain for the next league match. Cristiano Ronaldo next game is the Santiago Bernabéu trophy on August 23 of 2017 against Fiorentina. You can watch Juventus live stream, Real Madrid vs Fiorentina, Cheltenham Town vs West Ham, Manchester City vs Everton, Sheffield United vs Leicester City, and Nice vs Napoli, all matches provided from our streaming football game pages.